Due to the increase of costing in raw material and transportation charges, it is inevitable for us to adjust the prices of MLmax products. 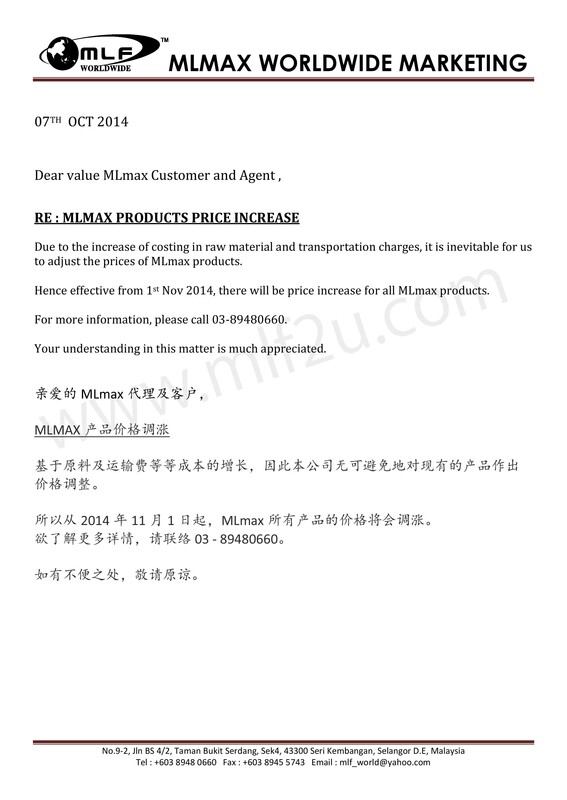 Hence effective from 1st Nov 2014, there will be price increase for all MLmax products. For more information, please call 03-89480660. Your understanding in this matter is much appreciated.